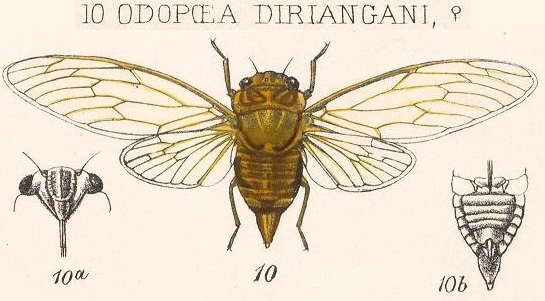 Odopoea diriangani Distant, 1881, is a cicada found in Nicaragua. Ochraceous and unicolorous, obscurely pilose. 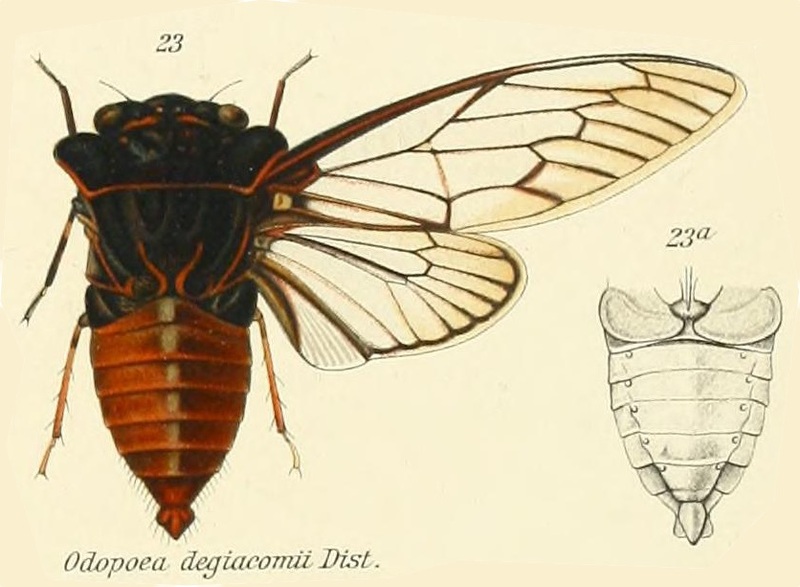 Tegmina and wings hyaline, veins ochraceous. Face strongly carinate, its width and distance to outer margin of eyes being subequal. Eyes black, ocelli red. Pronotum with the lateral margins considerably ampliated and rounded, obtusely and obscurely angulated about middle. Mesonotum with two large but obscure obconical spots commencing on apical margin. Anterior femora with a strong spine about one third from apex, between which and apex are two smaller and much more obscure spines. Long. 22 millim., exp. tegm. 69 millim. This species is allied to O. signoreti, Stal, and 0. azteca, Dist., from both of which it differs by the neuration of the tegmina being unicolorous, by the basal margin of the eighth apical area being almost straight and oblique, the ulnar veins abruptly divergent at base, and also by the strongly carinate face. It is more than probable that some specimens of this species are green, and not ochraceous like the form here described. 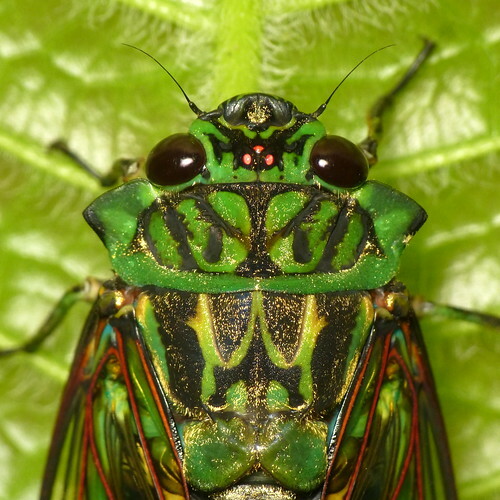 The illustration and description comes from Biologia Centrali-Americana. Insecta. Rhynchota. 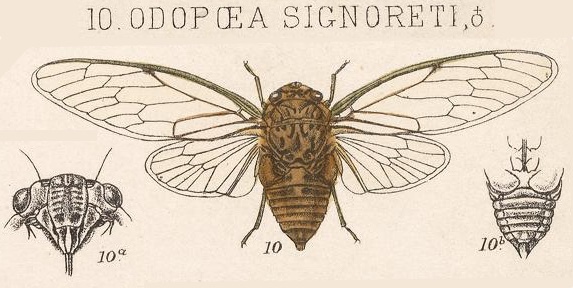 Hemiptera-Homoptera. Vol. 1. By W. L. Distant F.E.S. and The Rev. Canon W. W. Fowler, F.L.S. (1881-1905). Read it on the Biodiversity Heritage Library website.